More than 50 fighter jets and more than 50 take-offs a day are expected. 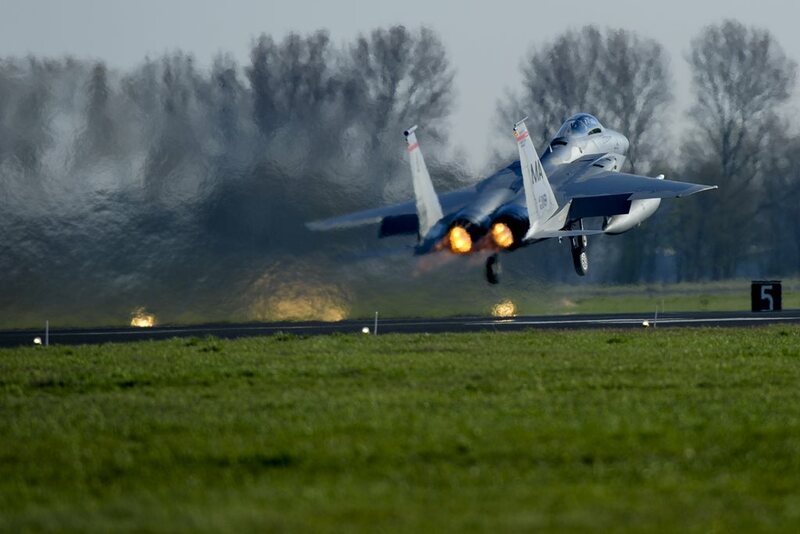 Leeuwarden Air Base, Netherlands, will host a new edition of exercise Frisian Flag from April 9 to 20, 2018. The FF is one of the largest live-fly fighter exercises in Europe that includes Dutch Vipers and dozens of fighter jets from Allied Nations. Usually more than 50 aircraft are housed on the ramps of Leeuwarden Air Base; twice a day they take part in the so-called "wave" which consists in the serial take-off of all jets to conduct different types of air missions. The FF 2018 will include Dutch F-16AM, Polish F-16C/D and MiG-29, U.S. ANG F-15C/D, German Eurofighter Typhoon, Spanish EF-18, French Rafale B/C and Mirage 2000D combat aircraft. Integrated into exercise to Frisian Flag, the exercise EART 2018 (European Air Refueling Training) will be held at Eindhoven Air Base, April 9-20. The EART is a multinational Air-to-Air Refuelling training that offers the opportunity to foster the exchange of information and procedures among tanker and fighter crew and to facilitate certification process between tanker and receiver aircraft. Confrmed aircraft include the RNLAF KDC-10, the GAF A310 MRTT, the FAF C-135FR and the USAF KC-135 Stratotanker. The training area will be controlled by French and NATO AWACS (Airborne Warning and Control System) aircraft. They will operate from their home bases.